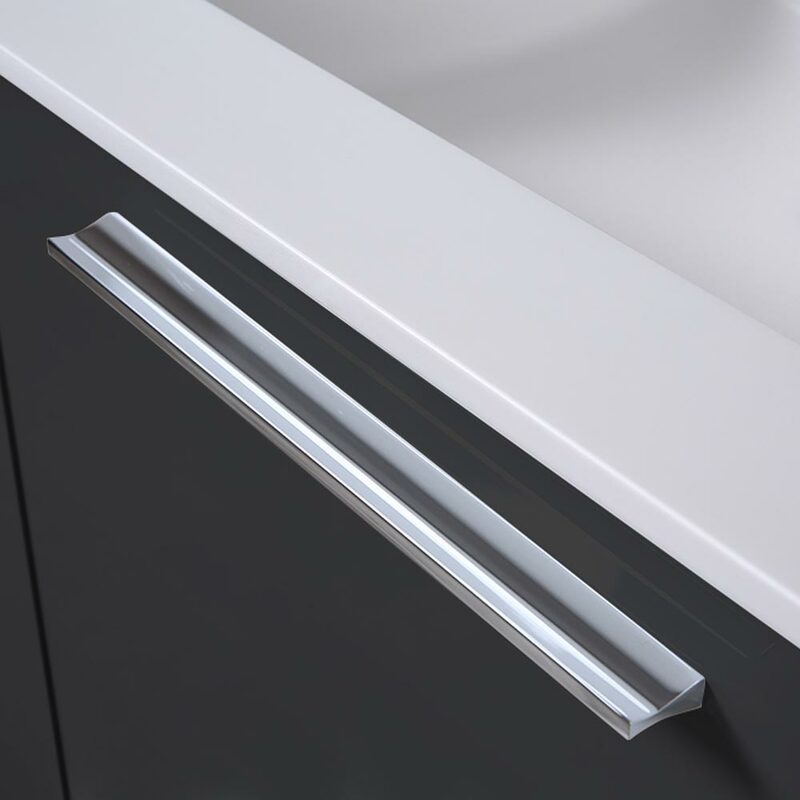 Have questions about this product (ID: 2456)? 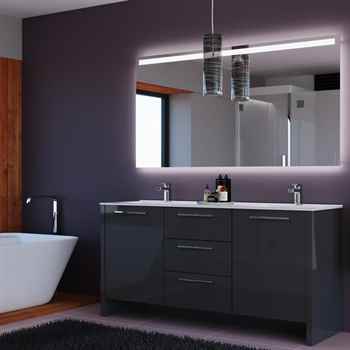 Nona 71” Glossy Gray Bathroom Vanity melds modern functionality for today’s busy household. 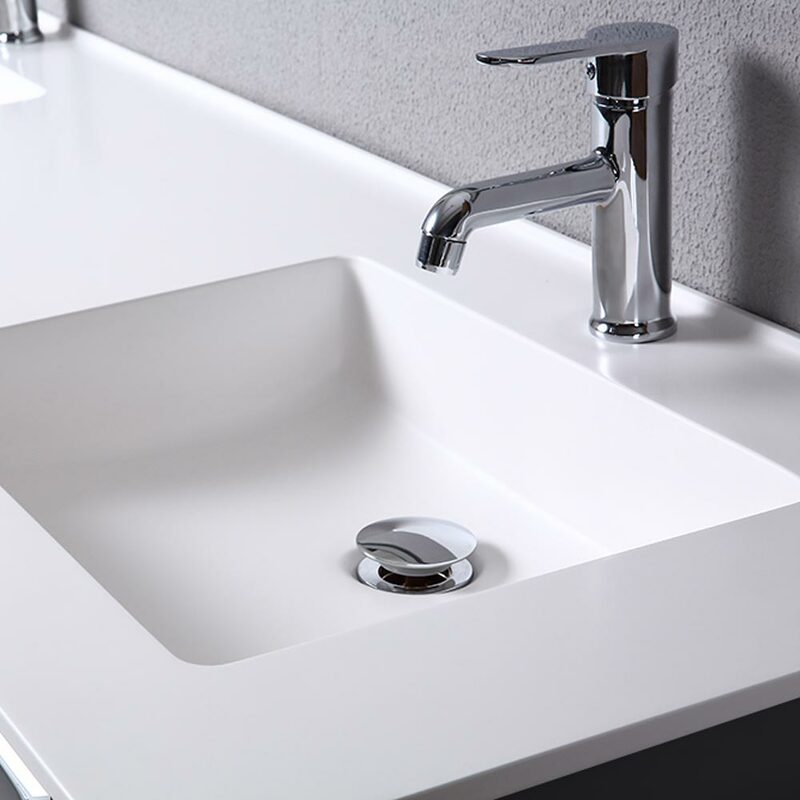 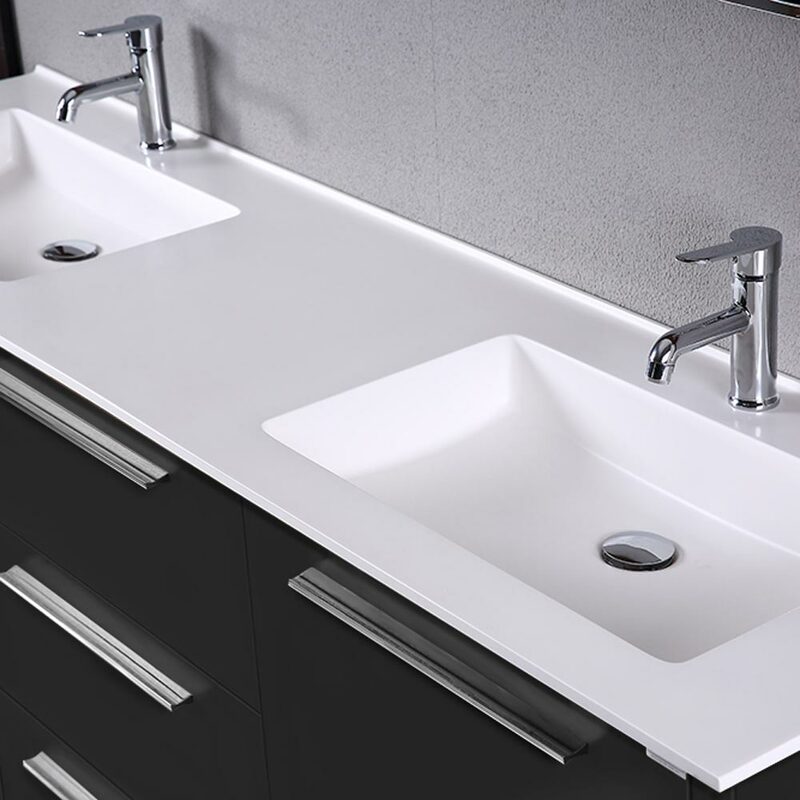 Double Sink solid surface washbasin’s blend of minerals and resins ensures a long-lasting, easy-to-clean surface that is anti-bacterial and additive free. 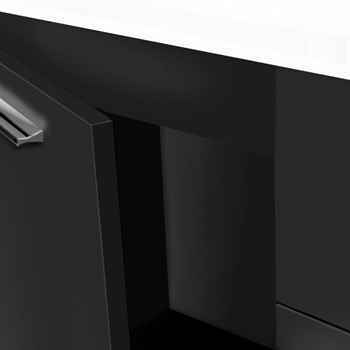 The cabinet offers ample storage within three drawers and two doors.